The African Union (AU) Executive Council has selected the Republic of Kenya to host the African Institute for Remittances (AIR). The Council asked the African Union Commission to conclude the Host Agreement with the Republic of Kenya so as to ensure the formal take-off of the Institute this year. It also asked the World Bank and other development partners to support the Institute. The Institute is scheduled to be fully operational by 2015. “I am delighted that the Executive Council has decided that the Republic of Kenya will host the AIR. 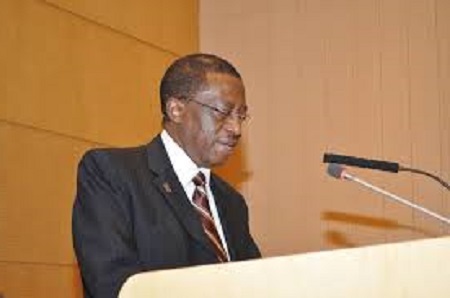 The establishment of AIR, the first of its kind in the world, is a cornerstone in harnessing Diaspora resources for social and economic development in Africa”, said Dr. Mustapha S. Kaloko, Commissioner of Social Affairs of the African Union Commission. He also called upon development partners to continue supporting the Institute. Kenya is one of four member countries that had expressed interest in hosting the AIR secretariat. The decision to select Kenya was made during the 24th Ordinary Session of the AU Executive Council which met from 27 to 28 January 2014 at the AU headquarters in Addis Ababa, Ethiopia. AIR project partners agreed to the need for sustained collaboration and coordination of efforts in support of the Institute to achieve the planned improvement in the market for remittances, and to leverage their impact on development in the continent. The partners are African Union Commission, World Bank, European Commission, African Development Bank, and the International Organization for Migration. The African Union Commission resolved in 2010 to create AIR in the framework of the Africa-European Union partnership on Migration, Mobility and Employment, to leverage the untapped development potential of remittance flows to the African continent. The magnitude of remittances to and within Africa has grown remarkably in recent years, gaining the attention of the international development community due to their positive impact on the living standards of beneficiaries. However, the precise volume of these remittances is unknown and presumed undercounted. Their transfer cost remains unacceptably high by international standards, and their full potential for economic and social development is largely unexploited. The AIR Project was launched with funding from the European Commission while the World Bank was responsible for overall implementation and execution of the project, in collaboration with the African Development Bank and the International Organization for Migration. The primary objective was to facilitate the AU Member States and the African Union Commission in establishing the Institute of Remittances. The AIR will be anchored within AUC.